Have you always wanted to try truffle oil but aren’t sure which brand is best? Do you feel overwhelmed when shopping for truffle oil? Are you worried about finding an oil that fits your taste or budget needs? If you answered yes to any of these questions, don’t worry! I’m here to help you solve the mystery of shopping for truffle oil. In this article, I’ll give you a rundown of the best truffle oil brands on the market today. You’ll be able to check out the pros and cons of each one and understand the history behind the company. I’ll tell you which ones specialize in truffle oil and which ones might be less specific, too. By the time you’ve finished reading this article, you’ll be able to pick the best place to purchase black truffle oil or the best white truffle oil brand to suit your needs. Of course, if you’re still feeling a little stumped, at the end of the article I’ll give you my tips for picking the best truffle oil brand depending on the type of chef you are. I’ll narrow down the list to help you find the perfect solution, and you’ll be able to buy the right oil right away. Let’s get started exploring the world of name brand truffle oils! Earthy Delights is a popular food supplier that has been in business for over three decades. Although the company specializes in quality wild mushrooms, it also sells a variety of different truffles and truffle products, as well as cheese, balsamic vinegar, and even some spices. Many of the products available from this supplier are wild harvested and wild grown, which makes them popular with chefs looking to cook with fresh ingredients straight from the earth. Best of all, the company strives to give back to the community in which it is located and to provide a caring and nurturing workplace that takes the needs of the environment into consideration from start to finish. Black Truffle Oil in a 250ml bottle. This product usually costs around $20. White Truffle Oil in a 250ml bottle. This product is a bit more expensive, coming in at around $25. You can also purchase a truffle oil duo that includes one bottle of each type of truffle oil available from Earthy Delights. This set costs $40 and gives you the best chance to try out both types of oil in your home cooking. This company also sells a couple of other popular truffle oil brands, including Oregon Truffle Oil and Urbani. However, if you choose to order one of these brands, your best bet is to go through those suppliers directly. Earthy Delights doesn’t specialize in truffles or in truffle oil, but it does focus largely on wild mushrooms. Truffles aren’t exactly a mushroom, but they do fall into the category well enough that they’re included as a sort of sub-specialization of this company. However, some of the most popular products available from Earthy Delights remain their fresh wild-harvested mushrooms and dried mushroom products. Even so, their brand of truffle oil is very popular, and it’s often recommended to new home chefs looking to try out this tasty ingredient. Earthy Delights provides a lot of incentive to order from this company. For example, if you place an order that totals at least $100 in products before the cost of shipping, you can enjoy a free shipping discount. Take note, however, that this only applies for non-perishable food items. This means truffle oil would be included, but if you plan to order any real, fresh truffles, they would not. This company also offers other sales throughout the year, so it pays to check now and then to see if truffle oil is one of the products on sale. During the time of year when truffle oil is easier to come by, it may end up on sale for an even lower price. You might be able to find Earthy Delights available in some stores around the United States, but you’ll have to do some digging to do so. Most of the time, these products are available for sale in smaller specialty gourmet food stores that focus on unique oils and other ingredients. Since it may be hard to come by these oils in stores, you might want to shop on the company’s website instead. Here, you can find every oil Earthy Delights offers, as well as many other products to choose from. Best of all, they offer free shipping discounts if you meet their requirements! 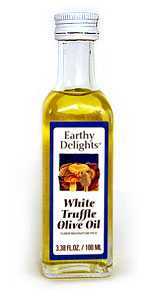 Most of the truffle oil available from Earthy Delights is authentic. This means that it’s made with real truffles and doesn’t contain any chemical flavor enhancements. With that said, however, it’s always a good idea to double check before you buy. Some of this company’s oils may be hybrids, which include both real and synthetic flavor. Earthy Delights offers free shipping when you meet their requirements. This means that you can enjoy free shipping when you purchase at least %100 of non-perishable food items. Although many of the items on the website aren’t included in this, truffle oil is. Customers have been returning time and time again to Earthy Delights for many years. This is a well-known company with a great reputation and excellent customer service. Since Earthy Delights specializes in other products as well as truffle oil, they may run out of truffle oil at certain times of the year, especially when the truffle crop is limited. Do your shopping during the highest volume time of the truffle season to have the best luck buying from this company. If you need to overnight your products due to a hot climate or high temperatures during the summer months, you won’t be able to use the free shipping discount. This discount only applies to the slowest possible shipping method available from the company. The olive oil used in these products isn’t imported, which may leave some chefs looking for other alternatives. However, this is still a very high-quality oil that tastes great and has an excellent color throughout. If you’re in the market for high-quality upscale culinary ingredients, chances are good you’ve probably come across D’artagnan somewhere in your search. This company has a commitment to providing some of the best quality specialty ingredients to buyers around the world. Although they don’t specialize in truffles and truffle products, these are among the many different delicious items for sale from this company. D’artagnan gets its supplies from local farmers and ranchers who use only organic processes to harvest their products. If you’re looking for a company that gives back to the community and the environment while providing quality products, this is the place for you. Black Truffle Oil in an 8.4oz bottle. This product ordinarily runs around $25. White Truffle Oil in an 8.4oz bottle. Usually, this product sells for around $25 as well. Although other, similar products such as truffle butter are available through this company, D’artagnan does not offer any other truffle oil options. Although this may seem to limit you, you have pretty much all your needs covered by these two selections. D’artagnan does not specialize in truffles or in truffle products, but they still stand by the high quality of the ones they do sell. Their truffle products are very nice and taste great, but the most popular gourmet food items they have for sale are their meat, duck, and foie gras. This company focuses largely on the production and distribution of restaurant quality ingredients that come from an upscale culinary background. While you’re stocking up on your truffle oil, don’t forget to pick up some caviar to sample along the way too! D’artagnan offers a variety of different sales and discounts throughout the year to make it easier than ever for you to find just what you’re looking for at a good price. For example, at several times throughout each year, the company offers at least 15% off discounts for web customers, in order to encourage shopping from around the world. This has proven to be a very effective way of getting more business since these sales tend to draw in large numbers of orders. Keep your eyes peeled for truffle oil specific sales that may occur at certain times, too. D’artagnan products are available in many different specialty markets around the United States as well as worldwide. You can sometimes find them for sale at Whole Foods or Trader Joe’s, and they’re also not uncommon in gourmet family-owned food stores as well. If you can’t find them locally, you can always order online through the D’artagnan website. This company doesn’t offer any shipping discounts, however, so be prepared to pay full price for the cost of shipping if you choose to order online. This is a well-known company that has been servicing both home chefs and restaurant kitchens for decades. Ordering from D’artagnan means you can enjoy quality products and customer service that have been perfected over the years. There is a wide variety of ingredients available from this company, which makes it easier than ever for you to stock up on other gourmet items while ordering your truffle oil. D’artagnan is known for packaging its products very well so that they don’t get damaged in shipping. If you want to overnight your truffle oil, you’ll need to budget for an even more expensive shipping cost. This may be required, however, if you live in a very hot climate or order your oil during the hotter part of the year. D’artagnan’s truffle oils do not include any real truffle pieces. They are flavored only with synthetic, chemical flavoring. If you’re trying to stay away from synthetically enhanced truffle oil, this may not be the store for you. However, this does help keep the costs very low. If you want a variety of different oils to choose from, D’artagnan only offers a couple. You might want to shop elsewhere if a large selection is important to you. Like D’artagnan, Urbani is yet another well-known name in the world of truffle products. This company, however, specializes in truffles and doesn’t put much focus on many of its other products. The company dates back to the late 1800s when it was founded by Carlo Urbani. Back then, the company was little more than truffle hunters searching for their prized product among the forests, but today, it is a larger scale operation that strives to provide a constant source of truffles for chefs around the world. This is a very popular brand of truffles that can be found in restaurants in many different countries. White Truffle Oil in a 1.8oz bottle. This product is about $12. White Truffle Oil in an 8oz bottle. Purchase this product for $33. Black Truffle Oil in a 1.8oz bottle. Choose this product for about $11. Black Truffle Oil in an 8oz bottle. This product sells for around $30. You can also choose a set of three 8oz bottles of oil, including white truffle oil, black truffle oil, and porcini mushroom oil for about $80 for the full set. This is a great option if you want to try a little bit of everything Urbani has to offer. Although Urbani sells a lot of products, the most popular of its selection are its fresh truffles. Depending on the season, you can purchase fresh black or white truffles from this company, and choose between winter or summer varieties. You can also find frozen pieces of these truffles for sale through Urbani while supplies last, but they tend to sell out fairly quickly during the truffle season. Since all truffle products are obtained fresh from Italy, when they run out, that’s it for the year. Truffle oil from Urbani is very popular among its customers as well. Throughout this history of this company, Urbani has provided so many high-quality products at such reasonable prices that it has been able to open many more locations around the world. This company is now available in the United States and Canada as well as in Japan, Germany, the United Kingdom, Denmark, Belgium, and the Netherlands. Of course, the original location in Italy is still going strong, and all of the worldwide truffles and truffle products available from this company are sourced from Italy to this day. Urbani is available from many different brick and mortar stores that carry this brand name. You can sometimes find it for sale at Whole Foods or Trader Joe’s, and it’s also available from several different specialty gourmet food shops around the United States and other countries as well. Of course, if you can’t find a store that carries this brand, you can always order online from the company’s website. Urbani doesn’t usually offer any shipping discounts, however, so be prepared to pay extra for the cost of shipping. Urbani offers many different options in terms of truffle oil products, gift sets, and other truffle items. You can also find fresh truffles when they’re in season from this company. If you’re willing to pay the extra cost, you can enjoy overnight shipping of any perishable food products directly to your door. This can help improve the shelf life of your truffles and truffle oil. Urbani is a very well-known and trusted name in the truffle oil industry. It has many fans and repeat customers who are very happy with the company’s products and service. Truffle oil available from Urbani is only made with chemical flavors. There are no real truffles involved in the process of making these truffle oils. If you don’t mind this, you can enjoy a low-cost truffle oil with a great flavor. However, some chefs prefer to stay away from synthetic oils. The olive oil used by Urbani, while very nice, is not extra virgin olive oil. Some chefs prefer to use only extra virgin olive oil when cooking. During certain times of the year, supplies may be low when ordering from this company, due to the decreased volume of truffles available worldwide. Dean & Deluca is a smaller company that is named after its two founders, Giorgio DeLuca and Joel Dean. These men began the company nearly forty years ago and watched it grow into an upscale food and wine supplier in the heart of New York City. This was one of the first stores to sell many exotic products in the United States, and truffles were always among some of their most popular items for sale. Since then, the company has made a name for itself in New York and around the world as one of the most trustworthy places to purchase products of a higher quality from locations around the world. White Truffle Oil at 8.5oz. This larger bottle of oil sells for around $30. Black Truffle Oil at 8.5oz. This bottle sells for $30 as well. Black Truffle Oil at 2.1oz. This is a smaller bottle available for around $15. White Truffle Oil at 2.1oz. This smaller bottle comes in at $15 as well. Dean and Deluca usually offers authentic truffle oil with no chemical ingredients. You are likely to be able to find the real thing from this store. However, pay close attention to the labeling on your product just in case. While Dean & Deluca doesn’t specialize in any one type product, this store does sell certain items more frequently than others. One of the most popular products available from this store is its box of Pecan Tortels, which is one of the highest-selling products on the website. Other popular items include cheese, vinegar, and very high-quality cuts of meat, all of which you can purchase online and in the physical locations. If you’re looking for a company that specializes in truffles, this may not be the best option for you. This is a very successful company that has been in business for decades in the heart of New York City. The company has run several successful campaigns over the years and has even become popular enough to open other locations apart from its original. Its online business is booming as well, with plenty of orders pouring in daily and tons of reviews to back up the quality of its products. If you’re looking for a store with a lot of integrity, Dean & Deluca is the place for you. Dean & Deluca has several physical locations where you can pick up products in person throughout New York City. Find it in SoHo, Madison, and Georgetown, as well as in locations in Kansas, North Carolina, California, and Hawaii. There are cafes located in North Carolina and New York as well, which provide a smaller number of items than the marketplaces. Of course, you can always order online through the company website if you’re looking for convenience or if you don’t have a local store. Dean & Deluca is a well-known company that has a lot of good reputation to back up its name. When you order online, you have access to tons of customer service to help you every step of the way. There are many locations around the United States as well as worldwide, so you probably aren’t far from a physical store if you want to take a look at these products in person. Not all truffle oil may be authentic. It pays to check the labels, but if you order online, you don’t have this luxury. Don’t be afraid to call and ask about ingredients in any products. If you don’t live locally to a brick and mortar store, you may have to pay a lot for shipping. 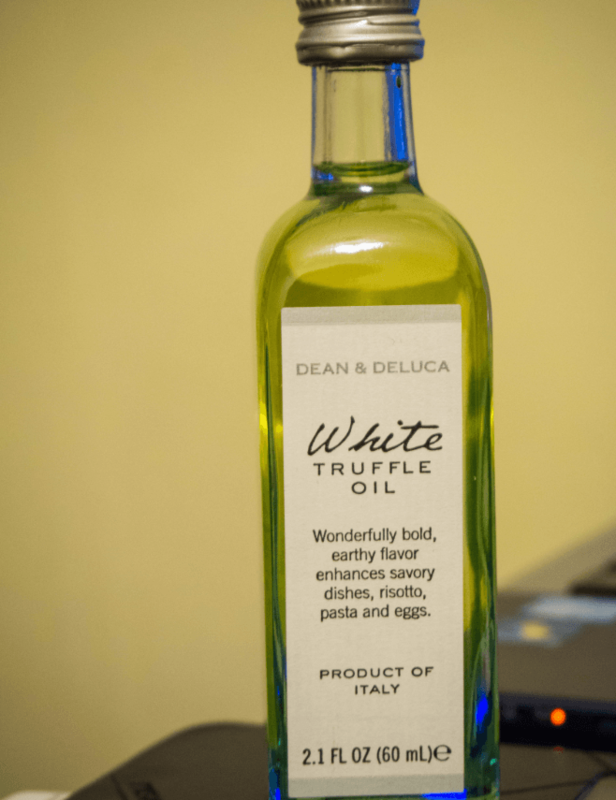 There is not a wide variety of truffle oil available from Dean & Deluca, although there are both black and white options. Oregon Truffle Oil was founded by Jack Czarnecki, whose name you might recognize if you’ve ever done much research into the collection of wild mushrooms. He believed that he could learn how to grow truffles on his own and harvest them for use in his family-owned restaurant, and so he set about to do just that. Now he and his whole family work together to ensure that their truffle crop remains one of the most reliable and flavorful of those available in the United States. Truffle oil available from this company is always made in the United States, and not imported from European countries. Black Truffle Oil in a 5oz bottle. This product runs around $35. White Truffle Oil in a 5oz bottle. Save a little bit and purchase this product at $30. Black Truffle Oil in a 2oz bottle. This smaller option runs around $18. White Truffle Oil in a 2oz bottle. Choose this selection for a $15 purchase. You can also buy in bulk and purchase two or more bottles of your favorite Oregon Truffle Oil products at the same time to save money. For example, you can stock up on a two pack of 2oz bottles of white truffle oil for around $28, or go for the 12-pack of the same product for $120. As you might be able to tell from the name, Oregon Truffle Oil specializes in truffle oil. It is important to note that all of the truffle oil made from this company comes from the United States and incorporates fresh truffle ingredients harvested directly from Oregon. These are not imported products, and Oregon Truffle Oil prides itself on offering locally sourced truffle products at all times. At this time, there are no other products available through this company aside from its variations of truffle oil. Oregon Truffle Oil hasn’t been around as long as many of the other truffle oil companies on this list, so that means it hasn’t had time to run a lot of successful campaigns. However, it has always developed a major fan following among chefs who like to cook with locally sourced ingredients. Many restaurants on the west coast have already incorporated these oils into their cooking, and home chefs are beginning to see the draw of using these products as well. At this time, Oregon Truffle Oil is not largely available in stores around the United States. You may be able to find it in local specialty cooking shops in Oregon and the surrounding states, but even so, your best bet is to order online if you want to pick up this product. When you order from this company’s website, you get the benefit of their quality customer service and commitment to excellence. Remember, however, that you will need to pay for shipping. All of these products are made from local United States truffles, and the oils are processed in the United States as well. This makes a big difference to some home chefs and restaurants both. Products from this company are very affordable and the cost of shipping is kept low by not sourcing ingredients from overseas. There are many different options available to help you find the right type and amount of truffle oil to suit your needs. Truffle oil made by Oregon Truffle Oil are not all authentic. 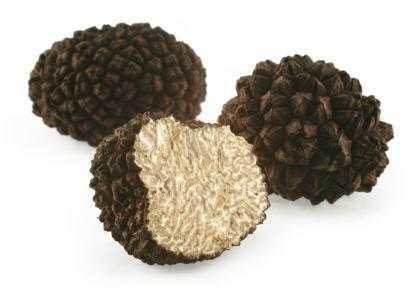 They are a hybrid product, which means that they contain both real truffle flavoring and artificial aroma. If you’re looking for a truly authentic product, this one may not be it. United States truffles don’t have the powerful aroma and flavor you might find in European truffles, so these oils may not taste as strongly as others you can find. This is a smaller company that doesn’t have the decades of good reputation that many of the others on this list can boast. Unlike the other companies listed in this article, Truffle Hunter is based in the United Kingdom, which puts it even closer to the main truffle supply than most of the other leading companies in the market. Because of this, the truffle oil available from this company is some of the highest quality and best tasting available worldwide. These oils are made in small batches to ensure taste, aroma, and color are perfect from start to finish. The company has been around for years now, and it continues to supply the United Kingdom and the rest of the world with amazing truffle products made from real, fresh truffles more often than not. White Truffle Oil in a 100ml bottle. This product costs about $11. Black Truffle Oil in a 100ml bottle. Like the white version, this product runs around $11. English Truffle Oil in a 100ml bottle. This product, made with rapeseed oil instead of olive oil, costs around $11. Super Concentrated Black Truffle Oil in a 100ml bottle. This flavorful product costs $16. Super Concentrated White Truffle Oil in a 100ml bottle. Choose this product for $16. You can also purchase larger 250ml bottles of black and white truffle oil for a bit more, or choose a gift box that includes a small sampling of each type of truffle oil to give to that special someone in your life or use for yourself instead. By far, the most popular products available from Truffle Hunter are its authentic fresh truffles. Depending on the time of year when you do your shopping, you might be able to find black summer truffles, black winter truffles, white summer truffles, or white winter truffles available from this supplier. However, although the truffle oil is not its main selling point, this is still a very popular product available from Truffle Hunter as well. Many chefs and home cooks alike purchase their oil from this company on a regular basis. Truffle Hunter stands out from some of the other companies listed here in that it offers a wholesale opportunity for anyone who owns a small business and would like to incorporate truffle products into their lineup. This is also a great solution if you have a restaurant and plan to do a lot of cooking with truffle oil. However, bear in mind that most home chefs will only need to purchase small amounts of oil from this company to last a long while. Truffle Hunter products are available in some stores throughout the United Kingdom, but they aren’t very widespread. Look for them in specialty shops selling upscale culinary ingredients from local suppliers. If you live in the United States, your best bet is to order your Truffle Hunter oils directly from the company’s website. Take note that you will need to pay for shipping when you purchase these oils online, and that shipping from overseas may cost more than it would from a United States supplier. 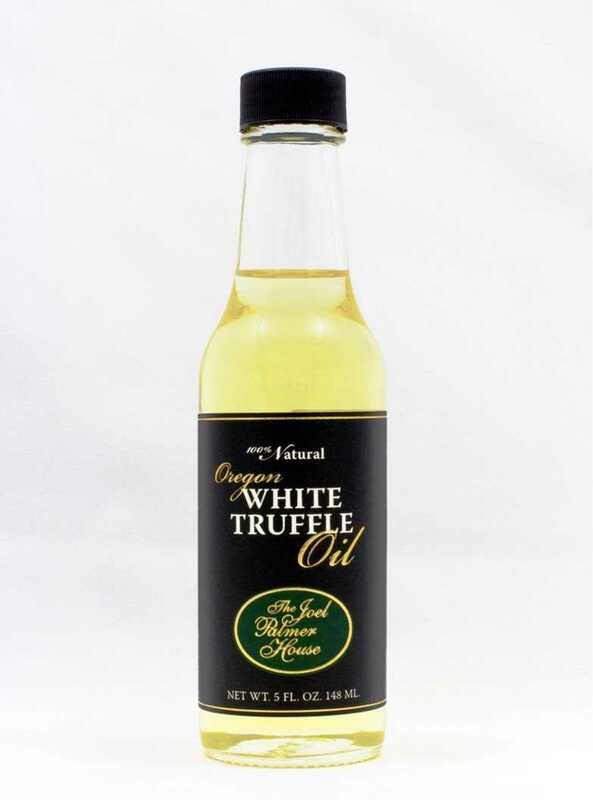 High-quality truffle oils are made from locally sourced truffles throughout the United Kingdom. These oils have a great flavor and smell amazing, too. 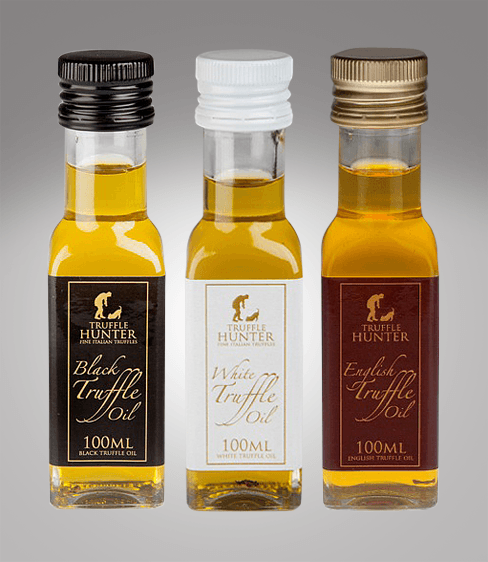 Truffle Hunter offers two different types of oil to choose from, rather than just olive oil like many other suppliers. If you prefer rapeseed oil, this is a great option for you. This company provides other truffle products as well as fresh truffles. If you want to try a little of everything, shop around through their gift boxes. Truffle oils from this company are not completely authentic. While they do contain some pieces of real, fresh truffle, they are also made from chemical flavoring to enhance the taste. This is not a good option if you want to stay away from chemically enhanced truffle oils. Ordering online can be very costly if you live outside the United Kingdom since the cost of shipping can greatly increase for food products. Depending on the time of year when you’re shopping, you might find this company low on stock. This is because fresh truffles go in and out of season and may be harder to find at certain times of the year. As you can see, there are a lot of different truffle oil brands out there! It might be really hard for you to figure out which one you want to start with, especially if you’ll be relying on ordering online and won’t be able to taste test these products before you buy them. But don’t worry! I’m here to give you some suggestions and guide you toward shopping from the right company no matter what your needs might be. Check out my tips below for picking the right truffle oil supplier for you. Are you looking to buy truffle oil on a budget? If so, give Urbani a try. Although this is a well-known name brand in the world of truffle oil, these oils are made from synthetic flavors. This means that the cost will always be lower for this brand than it will for others listed here. Since you can sometimes find Urbani in brick and mortar stores, you might even be able to save a little on the cost of shipping when you purchase it, too. All in all, this truffle oil gives you the best flavor for your money, provided you don’t mind choosing a synthetic oil. If you’re a truffle oil enthusiast looking for the best possible flavor and an oil made from authentic ingredients, Dean & Deluca is sure to have just what you’re looking for. These oils are almost always made from authentic fresh truffle pieces and high-quality olive oil, so you’re sure to get a flavor you just can’t beat with synthetic products. Best of all, Dean & Deluca is available around the world and has several brick and mortar stores that can help you find just what you’re looking for. If you can’t buy in person, it’s very easy to order online through this company. If cooking with truffle oil is a new concept for you, try Earthy Delights to find the right oil. This company provides a nice combination of high-quality oil and authentic or hybrid ingredients with good prices and easy shipping. This makes it a great option for anyone who’s new to the world of cooking with truffle oil. You won’t feel as though you’re spending a fortune, and you can even pick up a set of both types of truffle oil available from this company for a slight discount. These oils are very flavorful and stand up well to cooking, so don’t be afraid to try them out in all your new favorite truffle oil recipes! No matter what your needs might be or how you plan to use your truffle oil, any of these great companies can provide you with exactly what you need to get your cooking done the right way. You’ll fall in love with the flavor of truffle oil as soon as you take your first bite, and you’ll never want to go back to cooking without it again. Whether you’re an experienced chef of someone who is just starting to learn how to cook, you can dazzle your taste buds with flavor when you incorporate any of these fine truffle oils into your recipes. Give them a try today!